At the beginning of June the XV edition of the Ecoracimo Competition was held in the Cordoba Regional Council’s central offices. It is the one with most tradition in Spain. A total of 81 reference samples were presented, all aiming to become part of the best ecological wines in the State. And we couldn’t be left out from the winning wines that represent the quality wines made in the Penedès, obtaining two silver medals: Belat 2009 and Syrah 2009. During the event, Mr Francisco Casero Rodríguez, president of Ecovalia, stated that the samples were a clear representation of the quality of the wines made in the near 560 cellars that make wine through ecological agriculture in Spain. Belat 2009 is a single varietal wine, very special and spicy, made with a variety that has been recovered and re-planted and to which we have given the same name as the wine it produces. This name comes from the fact that the variety was covered by the veil of time, so it was veiled, but the cellar allowed itself the poetic licence of changing the V (Velado, in Catalan velat) to B, and therefore Belat has the same letters as Albet, but in a different order. This wine ages in French oak barrels for between 13 and 16 months to achieve the elegance and complexity that makes it so singular, highlighted by the aromatic notes of pipe tobacco and bay leaf and its freshness and fineness in the mouth. The Syrah Col·lecció is a wine made from 100% syrah variety, on the nose it is very characteristic of this variety with eucalyptus and minty notes and very fine tannins. This variety reaches its utmost expression in the vineyard we have on the “Can Simon” estate, near the village of Canaletes within the region of “Conca del Río Anoia”. Once elaborated, it is aged in new French oak barrels where the malolactic fermentation takes place, which will give it this smoother and rounder style, in line with the most expressive wines in this variety. Furthermore, in the V edition of the Ecovino event, which awards the best ecological wines in Spain, we obtained 3 silver medals, for three of the classics, one for the white Xarel·lo Clàssic 2013, another for Pinot Noir-Merlot Clàssic 2013 and the last one for Espumoso del Penedés Brut 21, 2011. The event took place on the 16th of June in the experimental cellar in DOC Rioja called “La Granjera” and, a later on, on the 19th was an open tasting session of the participating wines. The competition focuses on awarding and promoting the qualities of wines coming from ecological agriculture by analysing, with a of June in the Rioja Cultural Centre in Logroño, there professional jury made up of producers and gastronomy professionals, the samples presented in a blind tasting test in order to make their evaluations and rate the wines, up to a maximum of 100 points, where only the best in each category are awarded. A total of 145 wines from 57 cellars were entered this year, amongst which we would highlight our wines, as Albet i Noya was the most awarded Catalan cellar in this edition of the competition. The Xarel·lo Clàssic 2013, as its name indicates, one of the classics, is a single varietal that reflects this autochthonous variety from the Penedès, with a very expressive aroma of pear and apple and, on the mouth, it is fresh and fruity and with very good body. The only rosé wine made in the cellar, Pinot Noir-Merlot Clàssic 2013, obtained the second silver medal, elaborated with varieties indicated by its name, which give it an interesting strawberry colour with aromas that remind us of these red fruits and redcurrants. On the mouth it has body, it is fresh, balanced and fruity sweet. 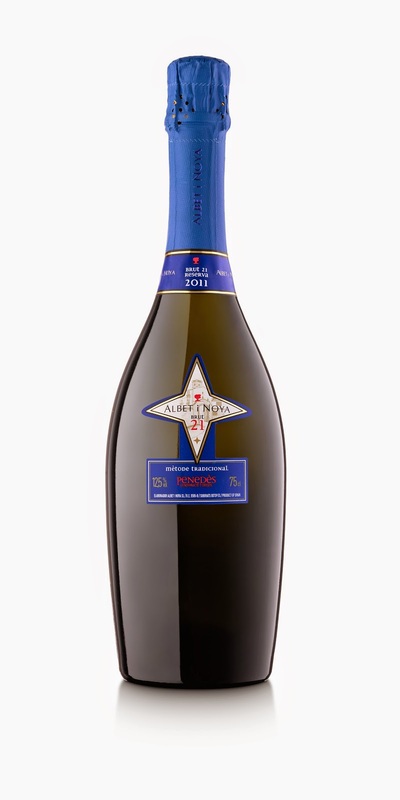 The Penedès sparkling wine that was awarded a well-deserved silver medal is the Brut 21, 2011, a reserve sparkling made with the Parellada and Chardonnay varieties and, thanks to the aging on its lees, it obtains brioche and lactic aromas, keeping the vivacity of Chardonnay. As Josep M. Albet i Noya says ,- technical director and co-owner of the cellar – “we must continue learning things every day that will help us to improve our wines and takes us working ways that respect nature and the vineyard and wine ecosystems”.